Abstract: This study represents a structural reconstruction of complexly faulted rocks in the Spruce Mountain district that host a porphyry molybdenum system. It also places the mining district in the context of other porphyry molybdenum systems in the western United States and compares the extensional structure of the district to other extended areas in eastern Nevada. The Spruce Mountain district exposes Ordovician through Permian miogeoclinal strata and sparse intrusive rocks that host a porphyry molybdenum deposit and associated skarn mineralization, as well as a Carlin-type gold prospect. A map-based structural analysis and stepwise, fault-by-fault cross-sectional restoration of normal faulting across the central portion of the district reveals that the Spruce Mountain area has been deformed by at least six crosscutting sets of normal faults with variable (east, west, and minor north) senses of displacement. Based on the restored cross section, it is estimated that normal faulting resulted in ~7 km (~130%) of extension and ~40° of net eastward tilting across the central portion of the Spruce Mountain district; faults of the first, second, and sixth generations of normal faults contributed to the net eastward tilting. The presently exposed normal fault network at Spruce Mountain reflects the overprinting of multiple phases of extension, ranging in age from Eocene to Quaternary. Six new U-Pb age dates on igneous dikes within the district, some of which crosscut and intrude the oldest fault sets, constrain the earliest phase of extension at Spruce Mountain as late Eocene (~38 Ma) or older, and the porphyry system to be late Eocene (also ~38 Ma). Cenozoic extension was distributed among numerous, initially high-angle, planar to curviplanar normal faults. All restored faults had initial dips of ~50° or greater. Cross-sectional restoration of normal faulting results in a pre-extensional structure consisting of west-vergent folds and gentle westward dips of miogeoclinal strata, which suggests that the Spruce Mountain area may have formed the western limb of an anticline that connected to the adjacent Pequop syncline prior to the onset of extensional deformation. The porphyry molybdenum system formed in the late Eocene at ~38 Ma. At least some normal faults postdate porphyry mineralization and have partially dismembered the porphyry molybdenum system, with deeper levels of the system exposed on the western side of the district and shallower levels on the eastern side. Nonetheless, porphyry dikes at least locally intrude the early generations of normal faults, which are prospective as potential conduits for hydrothermal fluid flow that produced skarn and carbonate replacement mineralization. Large extensional strains within the Spruce Mountain district have been distributed among numerous, typically moderate-offset (<2 km) normal faults. This style of extension contrasts with that observed in the southern Ruby Mountains west of Spruce Mountain, which appears to have been accommodated primarily by large offset (13-22 km) on a single west-dipping fault that produced easterly tilting. A recent reconstruction there implies only ~45% extension, suggesting that the relative amount of extension at Spruce Mountain (~130%) is about three times the amount in the southern Ruby Mountains, although the absolute amount of extension at Spruce Mountain is similar to that in the southern Ruby Mountains. Spruce Mountain is a rhyolitic porphyry Mo deposit, which includes end-member examples such as Climax and Henderson (“Climax-type” deposits) but also “transitional” deposits. The latter, which are characterized by less evolved igneous compositions and mineralization with higher Cu : Mo ratios, include Mount Emmons, Colorado, Mount Hope, Nevada, Pine Grove, Utah, and various other prospects in the Great Basin, many of which appear to have been forming near the inception of extension at any given locale. Most of the rhyolitic porphyry Mo deposits in the Great Basin are late Eocene, and late Eocene extension also played a role in localizing other types of deposits in the northern Great Basin, including porphyry Cu-(Mo-Au) ores at Bingham, Utah, Carlin-type Au deposits in several large districts, Au-Ag ores at Cove-McCoy, Nevada, and Au-Cu ores in the Battle Mountain district, Nevada. Bio: Eric Seedorff was born in Carlsbad, New Mexico , and raised in a mining family. Eric earned a BS degree in Geology from the University of California, Davis (1977), and MS (1981) and PhD (1987) degrees in the Ore Deposits and Exploration Program in the Department of Applied Earth Sciences, Stanford University. Eric’s MS project was on the Royston porphyry copper prospect western Nevada that was faulted and tilted by Tertiary normal faults, and his PhD was an alteration study of the Henderson porphyry molybdenum deposit, Colorado. Before and during graduate school he held temporary jobs in exploration in Nevada, mostly for Noranda and mostly exploring for porphyry molybdenum deposits. After completing graduate school, Eric was as an exploration geologist based in Reno, Nevada, working in Carlin-type, porphyry-related, and low-sulfidation epithermal gold systems, first for Chevron Resources and then for WestGold, each of which left the mineral exploration business. Eric joined Magma Copper Company in 1991 and moved to Ely, Nevada, to become Chief Mine Geologist for Magma on the Robinson project, first while it was still an operating gold mine and later as it became a copper development project. It was in 1991 that his obsession began to accomplish a 3-D structural reconstruction of Robinson. Prior to opening of the new Cu-(Mo-Au) mine at Robinson, Eric started traveling overseas for Magma evaluating exploration and development opportunities and in 1995 was transferred to Tucson to become Chief Geologist of Magma Copper Company. In his year in that position, he helped lead growth of their exploration program, including expansion of efforts in Mexico and Chile and initiation of programs in the Southwestern United States and in Mongolia. Magma was purchased by Melbourne-based BHP in January 1996, and Eric wound up in the Growth and Technology Group of BHP Copper that which was based in San Francisco, but he succeeded in remaining in Tucson. As Vice President Mineral Resources for BHP Copper, he had responsibilities in coordinating ore reserve reporting across BHP Copper, in being BHP Copper’s liaison to BHP’s global greenfields exploration group, in overseeing brownfields exploration at several sites, and as project manager for the scoping stage of the Magma Porphyry (now Resolution) project near Superior, Arizona. Eric chose to leave BHP in late 1999, after which he and two partners operated a failed entrepreneurial venture to build a new producing copper company from scratch. 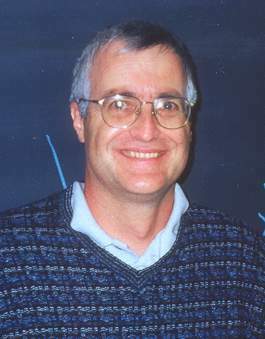 Eric became a faculty member in the Geosciences Department, University of Arizona, in January 2002 as the first holder of the Lowell Chair in Economic Geology. He leads a post-graduate education and training program for geologists in the minerals industry and has students in conventional MS and PhD programs and in the Professional Science Masters in Economic Geology program. His principal research interests are in porphyry-related deposits, extensional tectonics, and hydrothermal alteration-mineralization processes. Eric has been active in the Society of Economic Geologists and is a past President of both the Arizona Geological Society and the Geological Society of Nevada.